The saying goes that great things often come in small packages, and Champion’s Heron model is no exception. 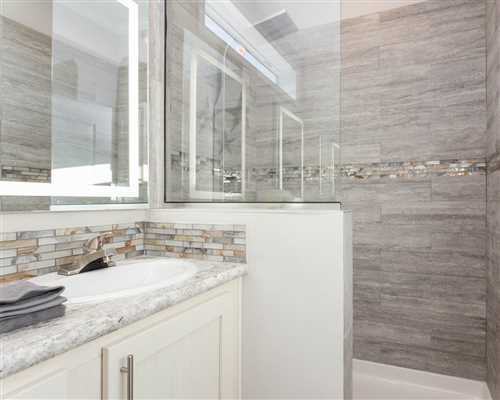 It is distinctly elegant, without sacrificing utility or top-notch amenities. 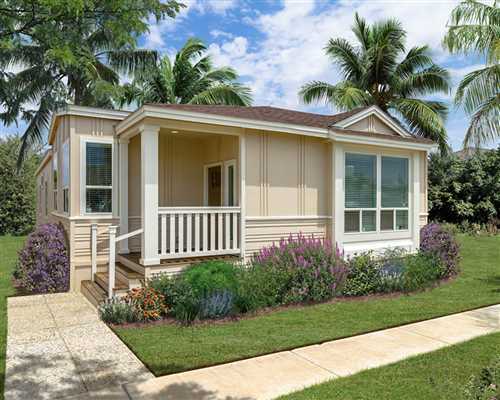 The Heron is a one-bedroom, one-bath 499-square foot HUD Code home. 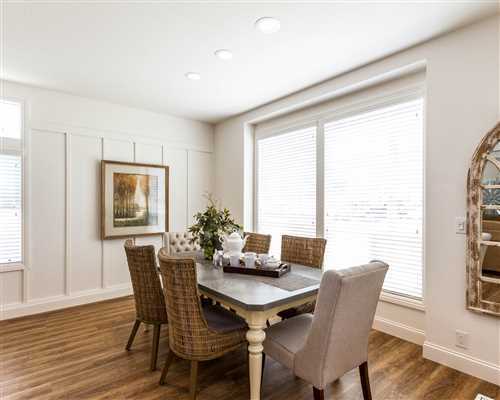 It’s well built to Wind Zone III standards, with 2-x-6 exterior walls dual-pane windows. 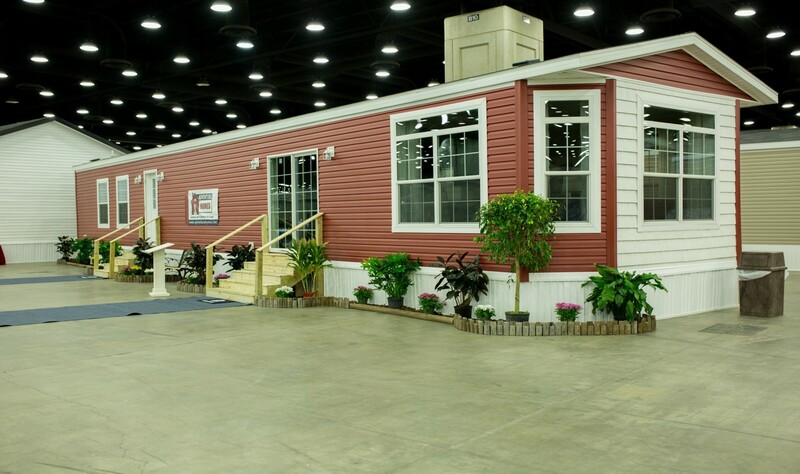 This model also features an ample eight-foot porch and a nine-foot sidewall with transom windows. A French front door leads into the living area, a space roomy enough to comfortably house seating as well as built-in Stratford cabinets and cubbies for added storage. 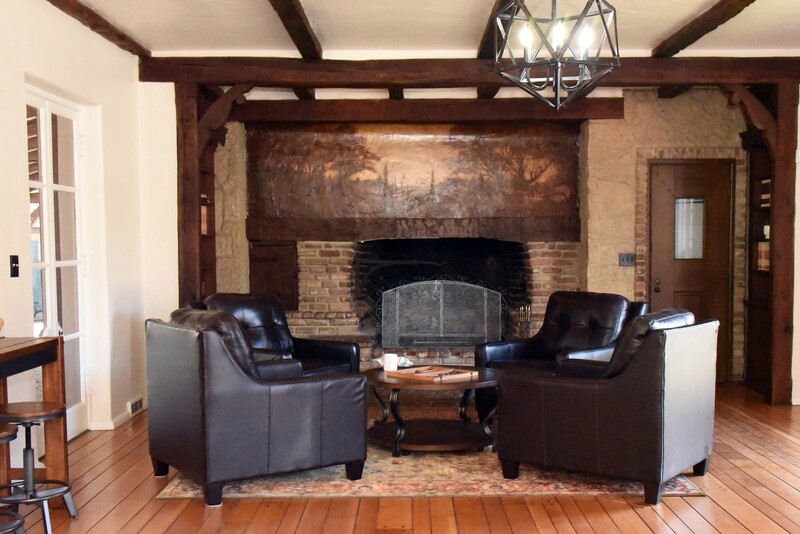 A tray ceiling with rustic wood-beams provides added depth, enhancing the design of the room, while also making it appear larger. 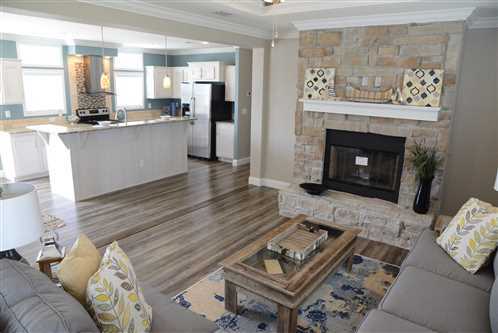 Champion’s Silvercrest Kingsbrook Series, Model 34, is a 1,775 square-foot, three-bedroom, two-bath home that carries on the Silvercrest “Simply the Best” tradition of quality and style with distinctive exterior and interior treatments. It has a unique, transverse roofline reminiscent of the California bungalow concept. 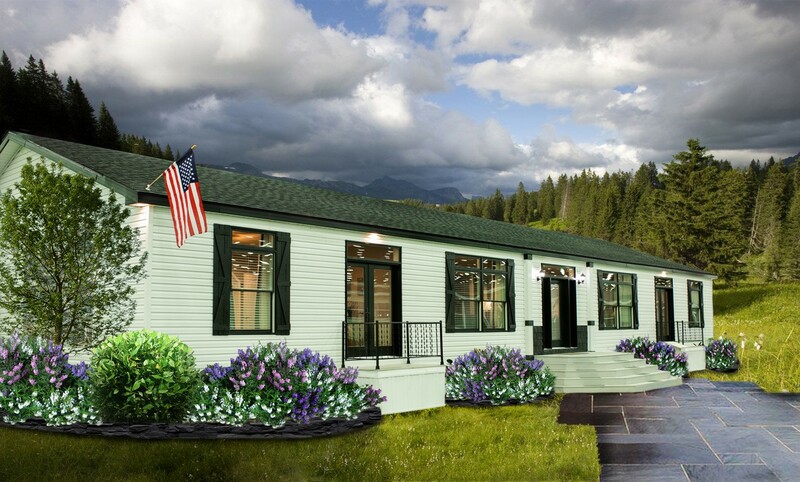 Oversized front windows and a flexible entry porch enhance the Kingsbrook’s curb appeal. Inside, the hub of the home is the spacious great room with a board and batten treatment, smooth drywall and an inviting farmhouse-style color scheme and design. 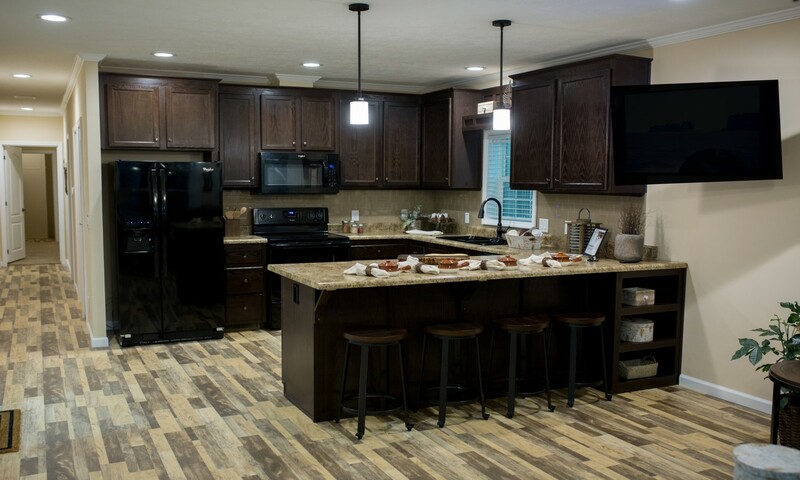 The great room extends into an upscale kitchen that gives a sense of relaxed luxury. The White House’s siding is contrasted with unique materials and components like black shingles, black windows and shutters, black exterior lighting fixtures and more. 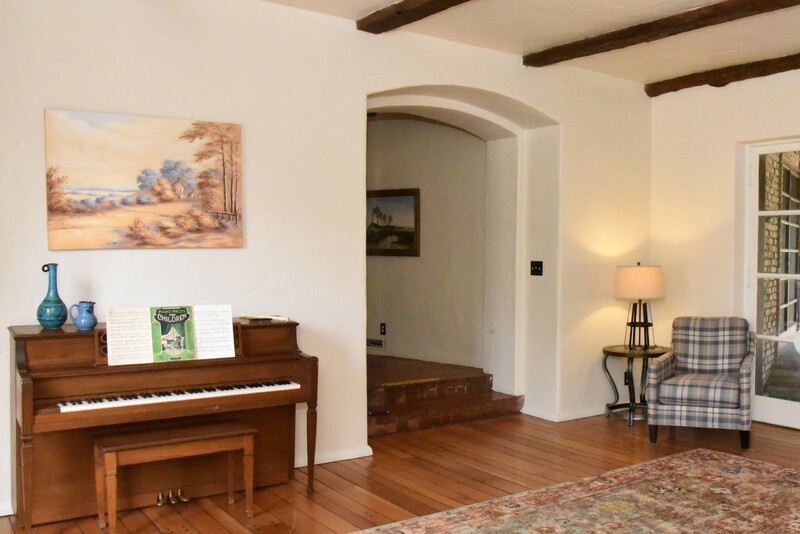 The living room has a white stacked stone feature wall and the 8’8” ceilings allow room for transom windows above the standard windows to bring in more light. 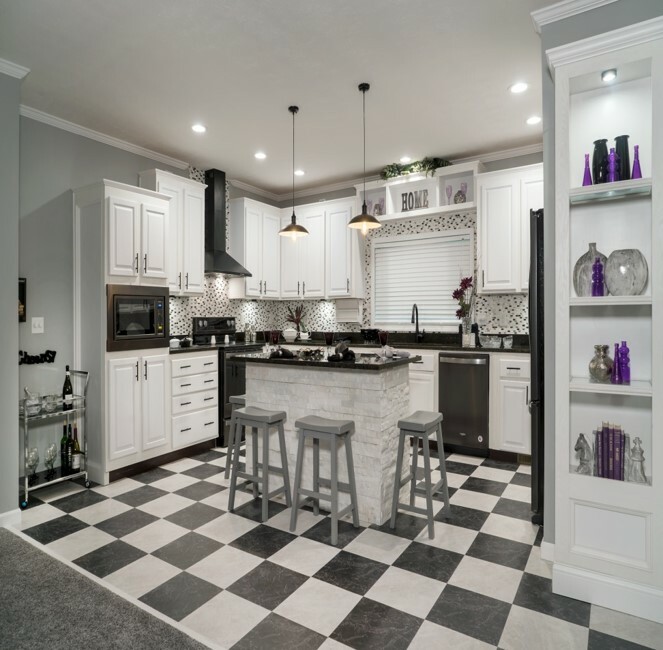 The contrasting color scheme continues in the kitchen with a black and white checkerboard design, and the same white stone in the living room is also on the kitchen island. 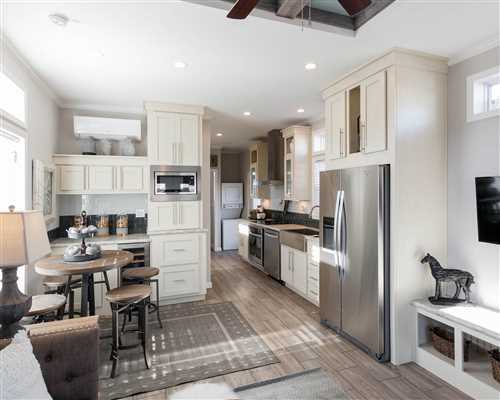 The Hudson was designed for the customer looking for that perfect lake house or as a specialty community project for retirees, millennials and everyone in between. Once you step inside this magnificent home you immediately forget that it just 16-feet wide. The ceilings are some of the industry’s tallest with an additional tray ceiling accent. 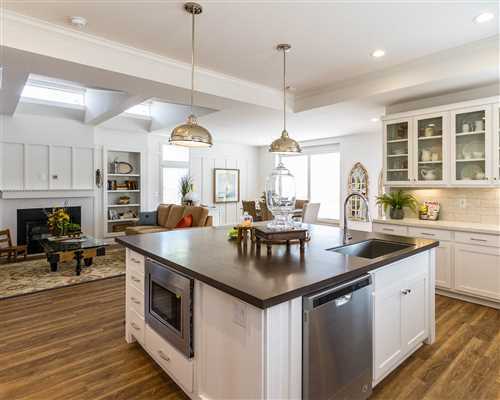 The kitchen features 40-inch cabinets, wrap around counters with large windows and enough space for the cook, as well as seating for four. Clayton Homes of Mabank, Texas, had a custom ordered home that the customer never closed on. 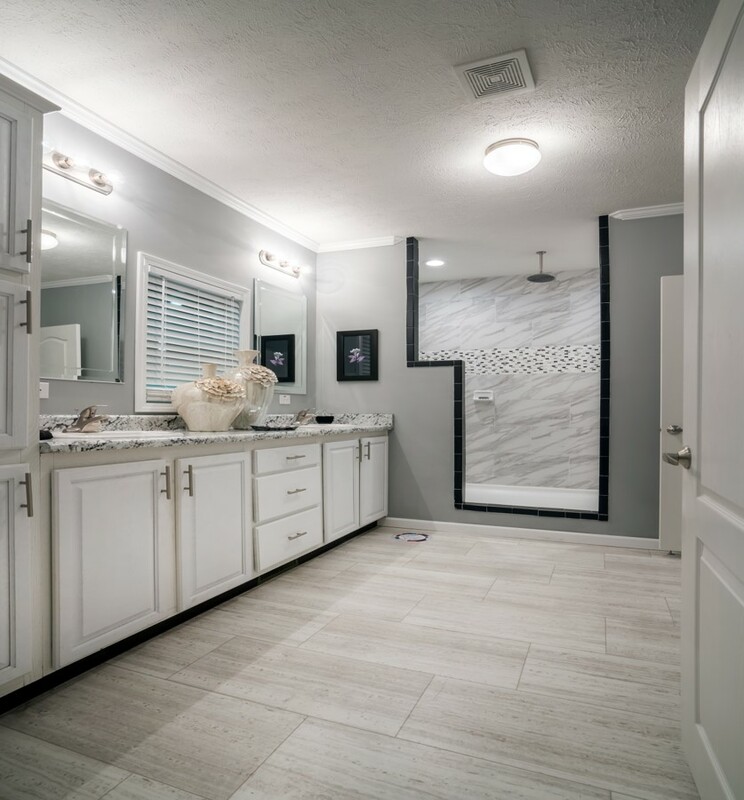 Unable to sell the home at a discount, Clayton asked The Lifestylist Brands to transform a home into one that not only would someone want to buy, but a showcase for the custom options and upgrades that were included in the home. 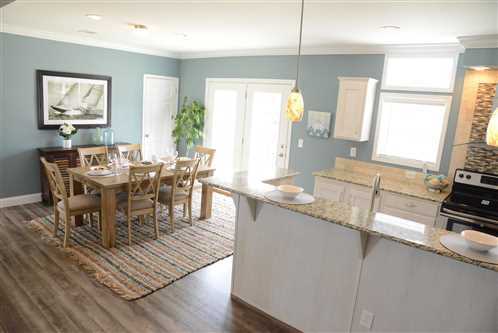 A new Lifestyled model home was created that appealed to local buyers and played up the existing colors and upgrades. 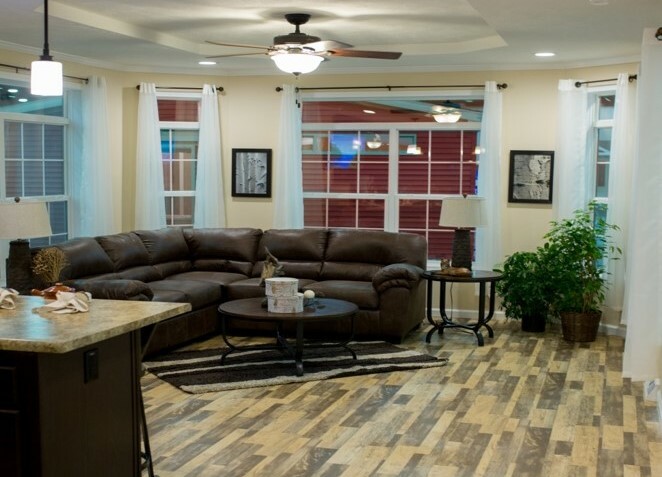 The home became such a great sales tool, the retail center used it to sell other homes with this floor plan and eventually sold this home at full price. 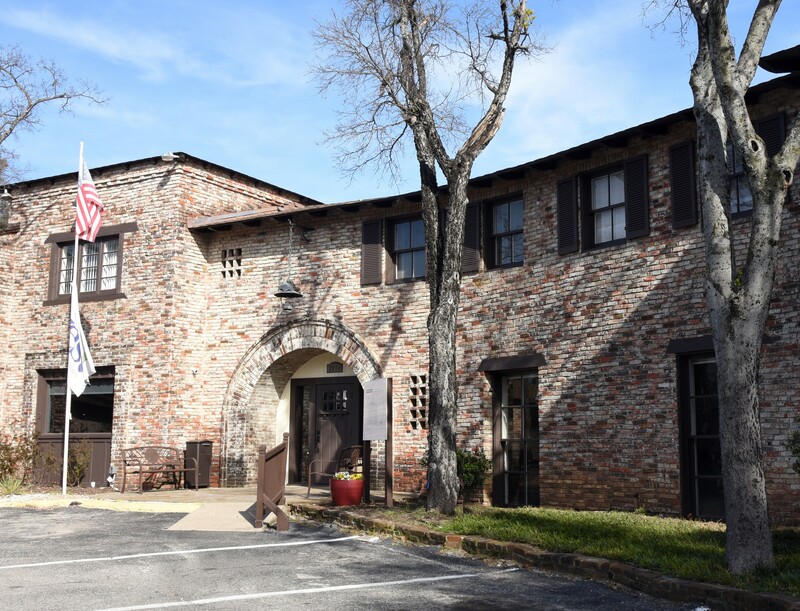 The goal for the Sleepy Hollow project in Fort Worth, Texas, was to make sure that the clubhouse was not only beautiful, but functional for residents. Walls were painted, floors refinished and the log stairway redone. The bath was renovated with an antique pedestal lav, chandelier and artwork. 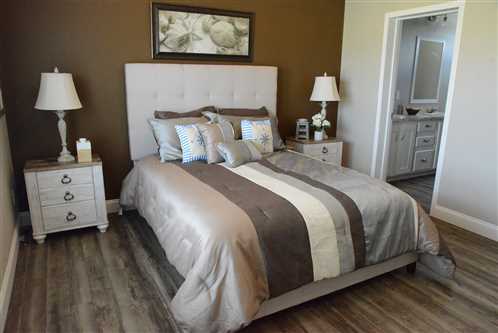 The furniture was replaced to make it functional for today’s home buyers. Potential homeowners now walk into the foyer and are greeted by an entry table always adorned with fresh flowers and fruit, and information about the community and homes. This is a new category this year. The Newport Pacific management team recognizes that to be the best community in the area they must seize the opportunity when replacing older homes. 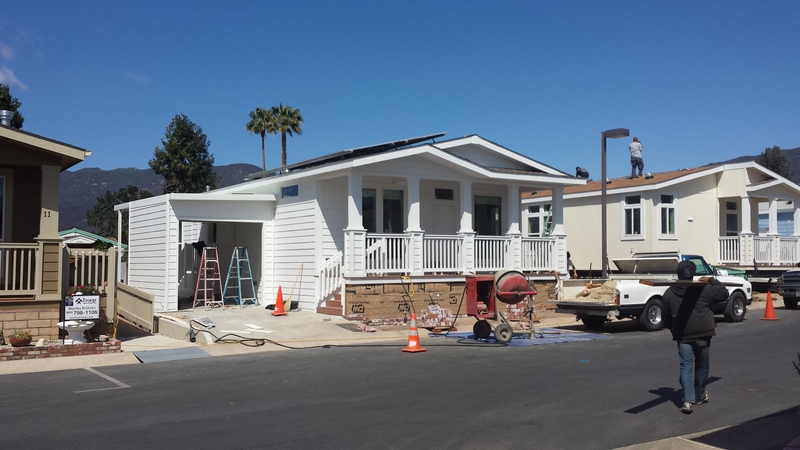 In July of 2017 they began replacing 1960’s era homes in their Village of San Luis Obispo, California, community with “solar ready” manufactured homes. The proven energy efficiency of these homes has caught the attention of the local officials that have all toured the property. 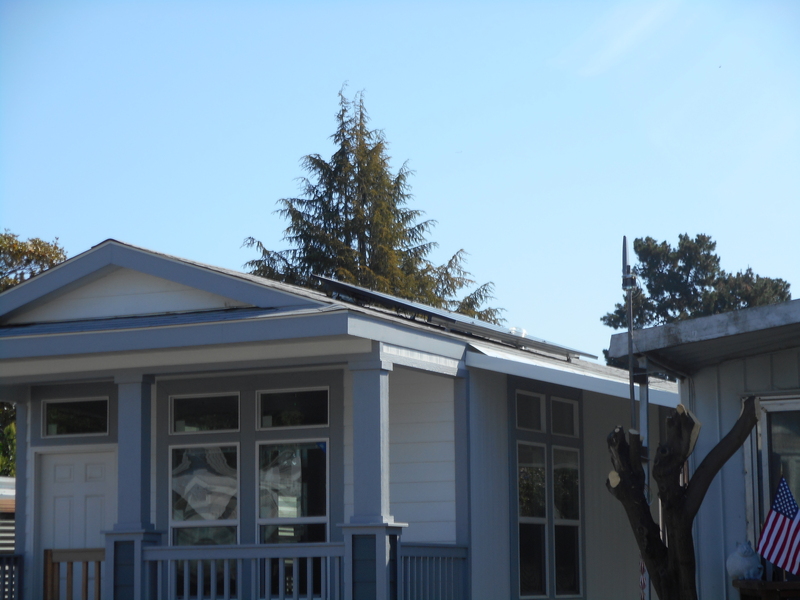 California has mandated that new residential construction must operate at net-zero energy use by 2020 so Newport Pacific teamed with Dow Chemical to introduce solar roof shingles to manufactured housing. 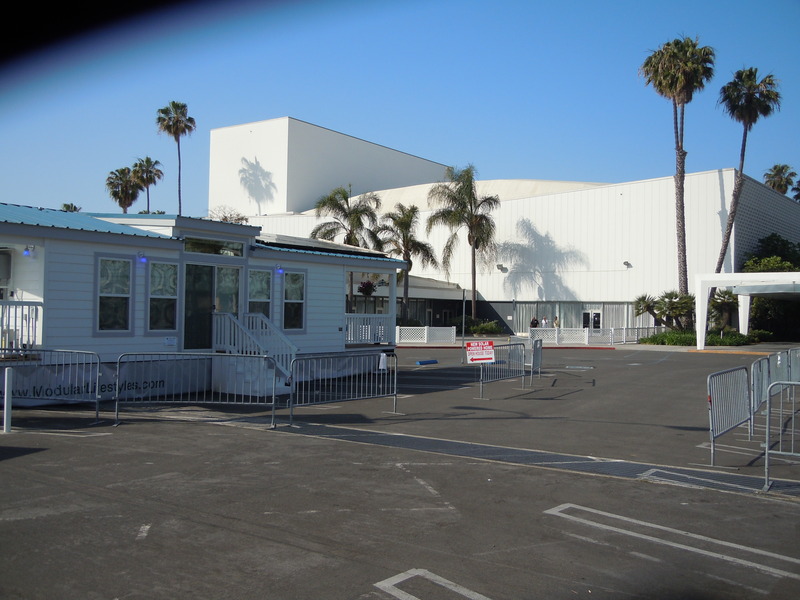 They even built an “off the grid” home used as a touring display. 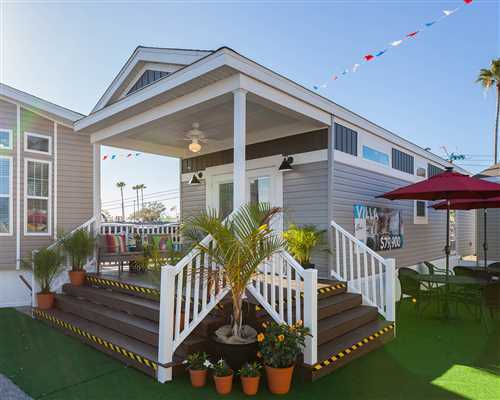 Newport Pacific’s innovations in energy efficiency are changing the image and perception of HUD Code housing in California.